VacationRentalPeople.com is another listing site that we recently added inquiry integration for. Here is a quick walkthrough on how to make your VacationRentalPeople.com inquiries show up in OwnerRez. 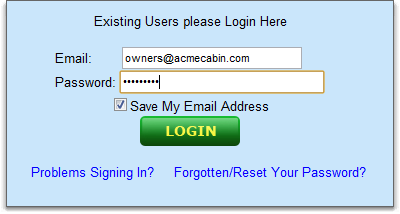 Next, login to your VacationRentalPeople.com account. After logging in, you'll see your properties listed on the VacationRentalPeople.com control panel homepage. 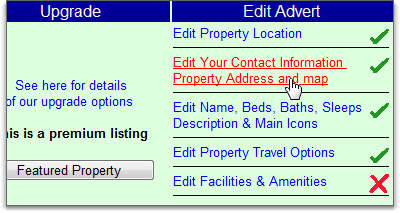 On the right side of each property, you'll see a list of links that you can use to edit the details for that property. Click on the link labeled "Edit Your Contact Information Property Address and map" for the property you want to integrate. At the top, you'll see several contact options. Make sure the "Allow them to contact me by email" option is checked. 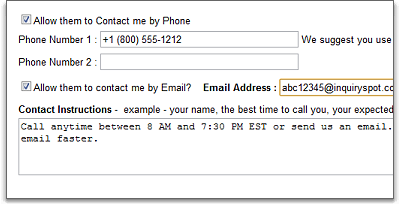 Then put your @inquiryspot.com email address in the field next to it. Last, click the 'Save and Finish' button at the top right of the page. As always, be sure to send a test inquiry to yourself by opening your property listing on vacationRentalPeople.com and filling out the inquiry form. When it arrives in OwnerRez, you'll know the integration is complete.